Here’s everything you need to know about the 3rd ODI between South Africa and Pakistan from Supersport Park, Centurion. 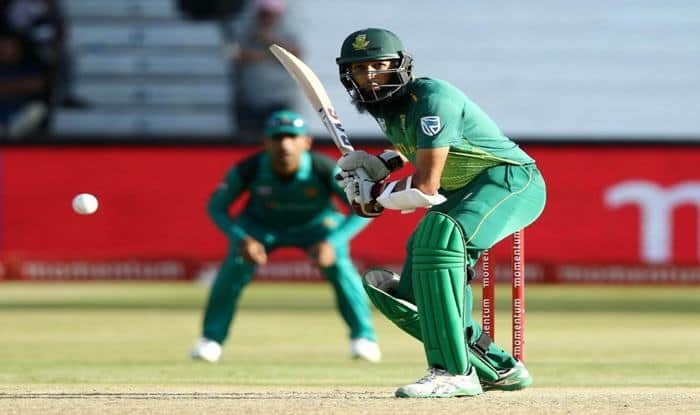 South Africa vs Pakistan 3rd ODI Live Streaming: With series tied at 1-1, it will be hard to pick the favourites going into the third game of the five-ODI rubber between South Africa and Pakistan. After dishing out solid batting performance in the first ODI in Port Elizabeth, both SA and PAK suffered top-order failures in the second encounter in Durban. Pakistan won the first game, and South Africa settled scores in the second. On both the occasions, the chasing side won the match by five wickets. Come the third of five ODIs, in Centurion, both teams will desperately want to pull ahead. Proteas need to sort out a few things with the batting. In Port Elizabeth, Hashim Amla scored a fine unbeaten century and Rassie van der Dussen made 93, but despite the solid platform laid, they were able to post only 266/2 – a total that proved very inadequate. Their inability to accelerate cost them that game. South Africa are searching for that fine balance between caution and calculated aggression, and that’ll be key at the Centurion. However, Dale Steyn’s inclusion will be back in the squad for remaining three ODIs, and will look to make some inroads, as will the uncapped Beuran Hendricks. On the other side, the visitors have been pretty disciplined with the ball in both games. They didn’t waver in the first game even as Amla and van der Dussen batted solidly. Young Shaheen Afridi gave further evidence of his quality in the second game, picking three wickets. And Shadab Khan’s wrist-spin has troubled South Africa considerably. When and at what time will the 3rd ODI between South Africa and Pakistan will start? The 3rd ODI between South Africa and Pakistan will be played on January 25, the match will start at 4.30 PM. Where is the 3rd ODI between South Africa and Pakistan will be played? The 3rd ODI between South Africa and Pakistan will be played at the iconic SuperSport Park, Centurion. Which TV channels will broadcast the live coverage of the 3rd ODI between South Africa and Pakistan? The 3rd ODI between South Africa and Pakistan will be broadcasted live on Sony Sports network in India. How to watch the free online live online streaming of 3rd ODI between South Africa and Pakistan? The free online live online streaming of 3rd ODI between South Africa and Pakistan will be available on Sony Liv app and Jio TV. What are the probable playing XIs of the 3rd ODI between South Africa and Pakistan?